Free range and cage-free are terms tossed around wildly in the chicken world. Why does it matter? 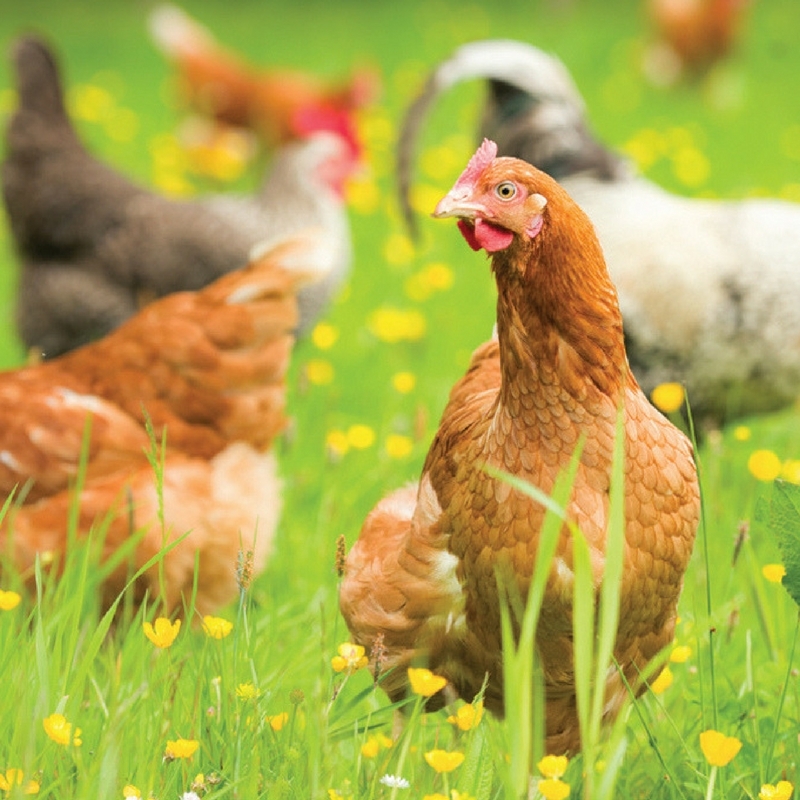 Chickens raised in a cage-free environment and served only a natural diet grow bigger, are nutritionally richer, taste better, and, frankly, are raised more humanely. That matters to us. Harvestland/Perdue, our only chicken supplier, shares these values. They also know how to freeze their chickens. Yes, I said freeze them. We all know that salmon frozen at the source preserves the nutrients, freshness, and taste. The same is true for fresh, frozen chicken. It’s also true that chicken that remains “fresh” can take as long as a week to transport to a restaurant. I don’t know about you, but I don’t want to eat week-old chicken. The folks at Harvestland/Perdue understand this and deliver consistently high-quality chicken to our kitchens. Like me, they want to serve great-tasting, wholesome food to their valued customers. Their chickens are never given antibiotics or hormones and are raised on an all-vegetarian diet. Harvestland/Perdue chickens are the only chickens I eat, and the only ones served at Duke’s.